During almost every BBQ the question arises: How to prepare an aromatic cup of delicious coffee or tea? Of course with the Petromax stainless steel Percolator! It is starting to get cold outside, the sun is setting, but the campfire still keeps you warm. To end the evening perfectly, a nice cup of hot coffee or tea should always be included. But how to prepare the truly aromatic coffee or tea? With the Petromax Percolator made of stainless steel of course! 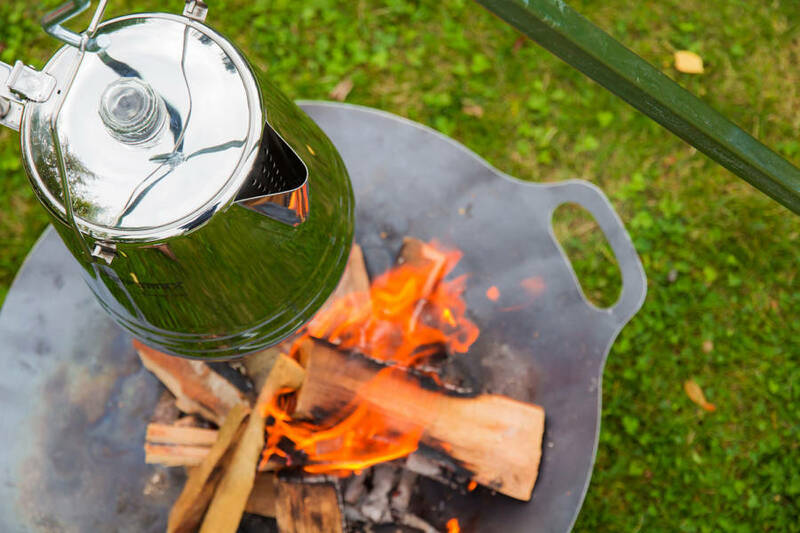 In the outdoor kitchen the Perkomax made of stainless steel can be hung over the fire or placed on embers. But also on the home oven, either electric or gas, it heats the water reliably and evenly. As soon as it boils, it rises through the stainless steel tube inside the jug and flows through the coffee powder or the tea leaves slowly and with full flavor back into the jug. There it intermixes with the remaining water and rises again. The longer you let the water circulate, the more aromatic your coffee or tea becomes. Thanks to the glass knob on the lid of the Percolator, you can watch how the water bubbles from the tube into the container for coffee and tea. Hereby, cooking with the stainless steel Perkomax becomes a special experience. 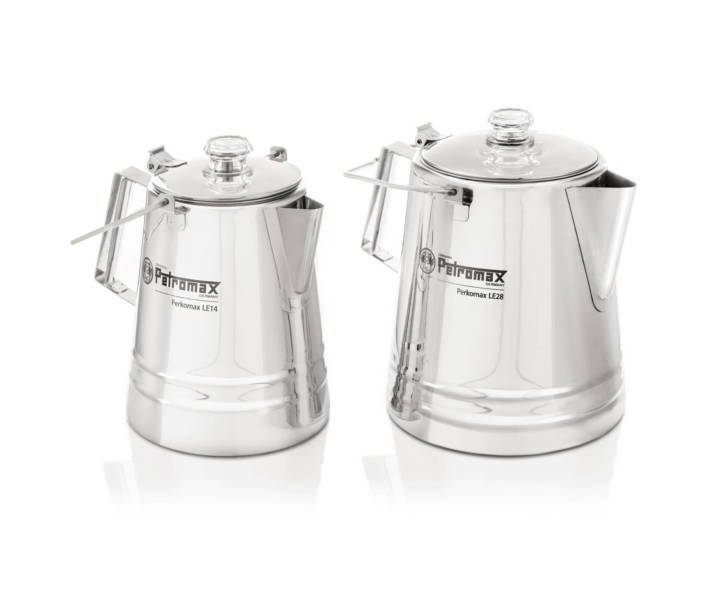 The Petromax Perkolator made of the stainless steel is available in two sizes. The small version holds about 2.1 liters and contains about 14 cups. With ca. 4.2 liters of capacity, the large version can make up to 28 cups of pure coffee and tea. More information about the stainless steel Percolator you can find in our online shop. There you can also purchase our Petromax Enamel Mug for the perfect coffee delight.